In 1300, in the medieval village squares, with the changing of the seasons, fairs and merchants brought innovations with their commerce from the Far East and Northern Europe. Produce from the land, pottery, cloth, pelts and cattle created a tradition for the Santa Lucia Fairs that would go on for centuries. 9 – 10 November the Ancient Fair of Santa Lucia di Piave. The Committee for the Ancient Fair of Santa Lucia di Piave, after careful historical research into the XIV century statutes of the Commune of Treviso, proposed a commemoration of the XIV century fair. 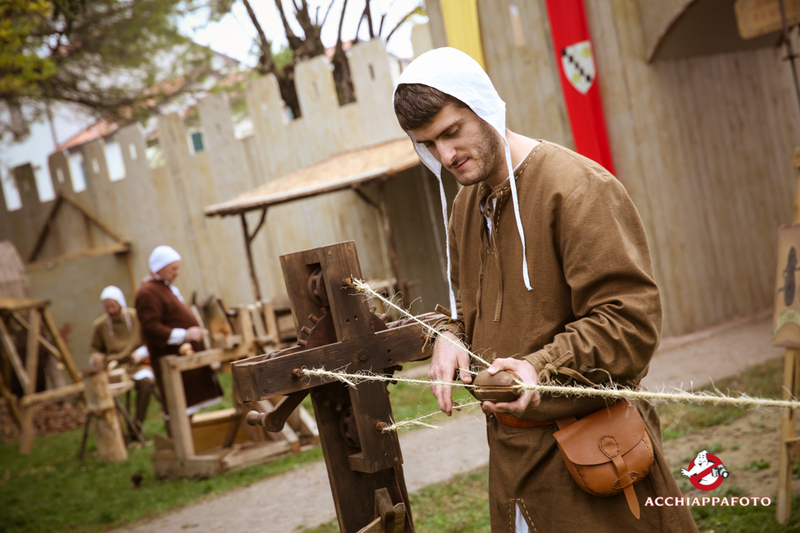 The medieval fair, which is linked to early trading on the Via Hungarica and the obligatory Lovadina crossing, and trafficking between Venice and Flanders, will comprise an exhibition-market of goods typical of the time: valuable textiles, hemp and wool from Flanders, horses and donkeys. Using ancient Veneto coins, exchanged by money changers, you can taste typical local produce from “casari” (dairymen), “luganegheri” (sausage makers), “vinari” (wine makers), while being entertained by jesters, musicians and acrobats.